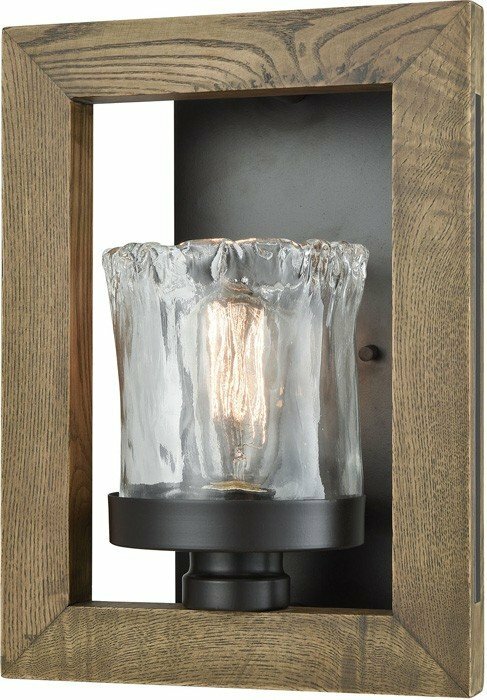 This wall sconce from the Timberwood collection is characterized by an emphasis on craftsmanship and simplicity melding timeless materials such as wood, glass, and metal. The Oil Rubbed Bronze metal structure is sandwiched between solid wood rails that overlap in the corners showing off its joinery. 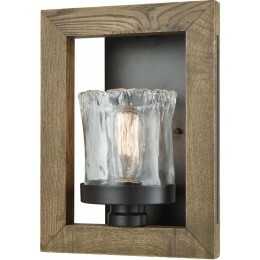 Large hand-formed glass compliments the heavy frame with just the right balance of antique light.